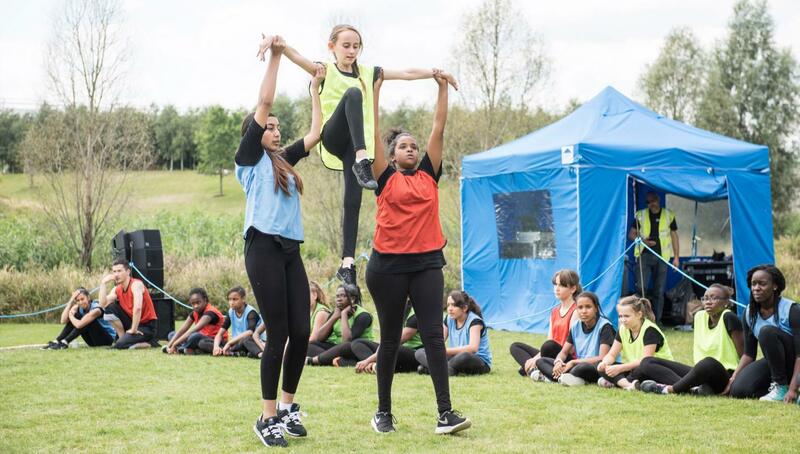 A summer school for new year seven students in east London boroughs surrounding Queen Elizabeth Olympic Park, exploring the theme of transition and preparing them for the move into secondary education. In 2015 we delivered our first summer school on Queen Elizabeth Olympic Park. Over a week of workshops, we worked with incoming year seven students from three east London schools on the theme of transition. 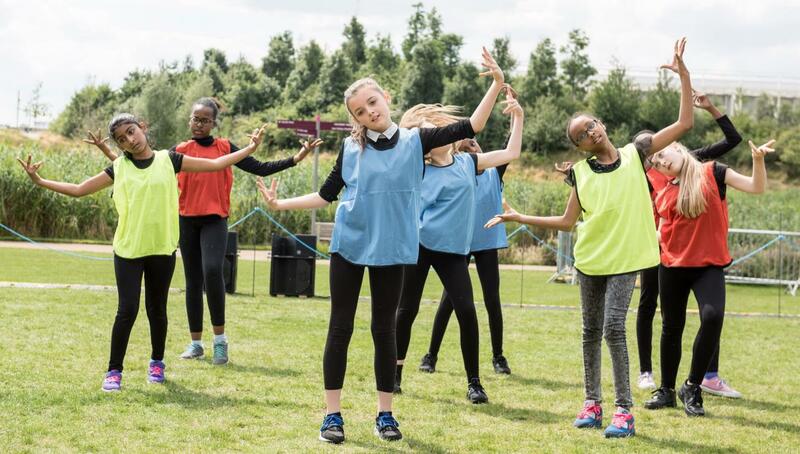 Funded by Foundation for FutureLondon, the summer school included daily dance workshops delivered by company dancers, and visual art sessions in Queen Elizabeth Olympic Park with artist Damien Robinson. 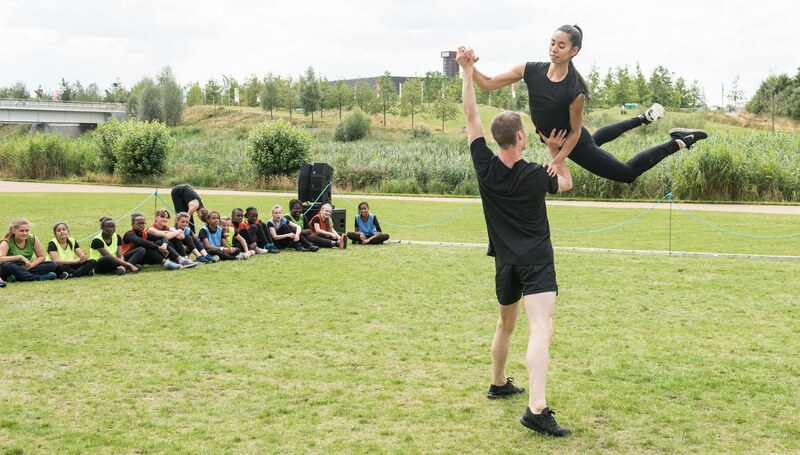 The students made their own movement material and gave a final performance in the Park, performing alongside the professional dancers of Company Wayne McGregor. 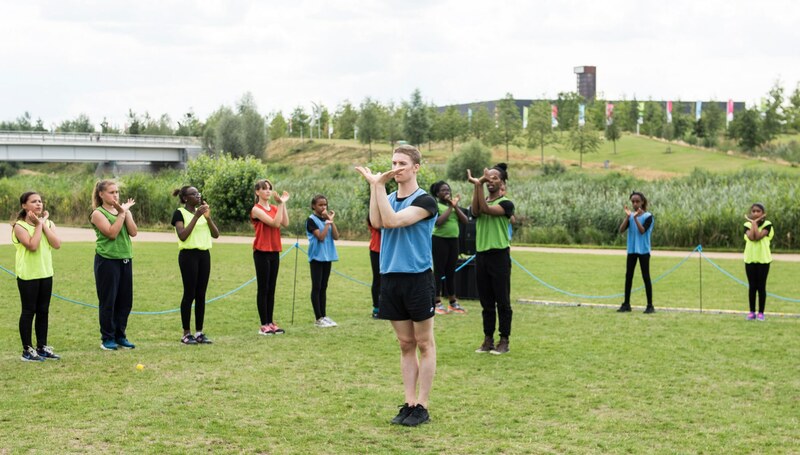 Following on from the success of the first summer school in 2015, in July 2016 we delivered our second summer school to students from four east London schools. 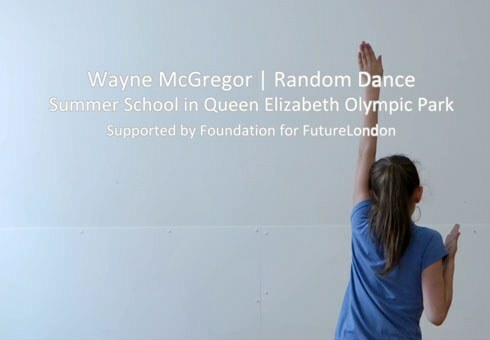 The 2016 summer school culminated in a performance on Saturday 30 July on Queen Elizabeth Olympic Park and was the first Studio Wayne McGregor event take place at our new home, Here East, where we are building our own studios, opening in early 2017. 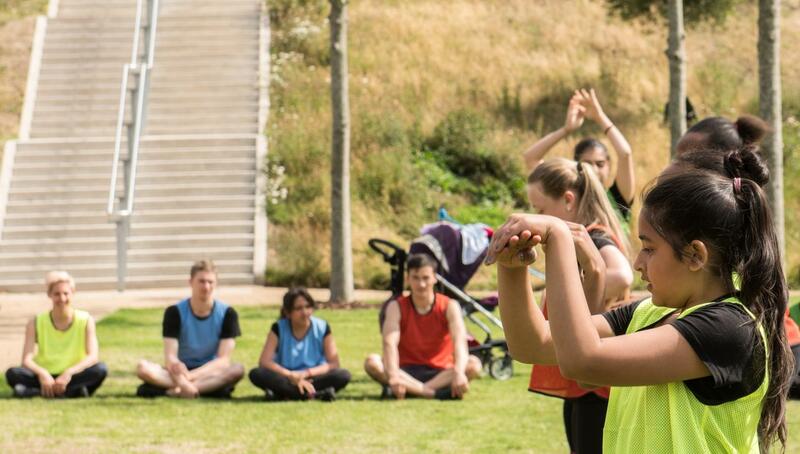 Film by Emma Crouch at i say RAAR. 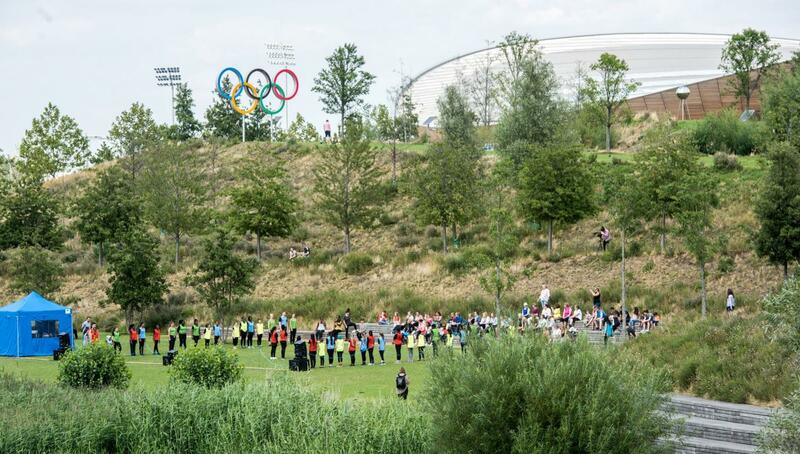 Music by Scanner and Joel Cadbury with kind permission of Chester Music Ltd and Campbell Connelly Ltd. Images by Tony Nandi.